As a postgraduate student, Dr Miloud Ouadi investigated the production of new biofuels from paper industry waste. His ultimate goal was to turn his research into commercial success. Just five years later, and thanks to TEP, that is what he’s done. 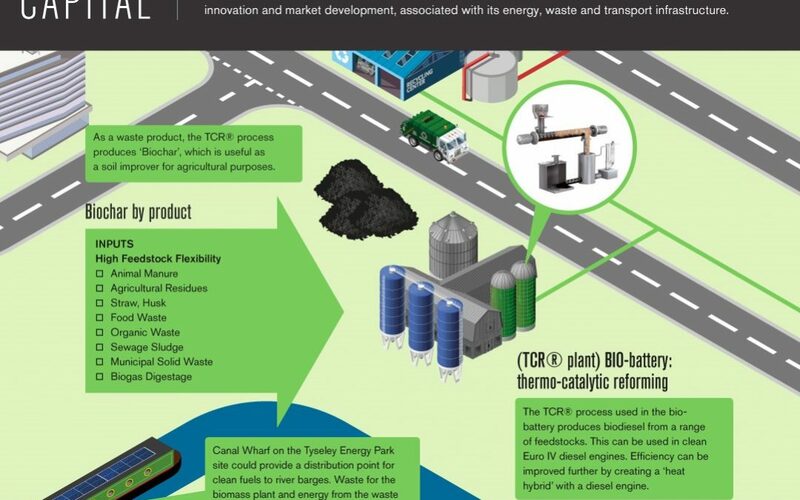 Miloud’s company, Susteen Technologies UK, is now converting Birmingham waste into sustainable energy – biodiesel and biohydrogen – using a new-design thermo-catalytic reforming (TCR) reactor based at TEP. The development of the energy park has been crucial to the commercial deployment of the work, he says. ‘TEP has helped to create an environment where all stakeholders with similar interests in bioenergy systems can come together in one place to showcase their technologies. It provides access to the right facilities, space and people to encourage learning in order to develop bioenergy systems further. Miloud, who is also a researcher at both the University of Birmingham and Fraunhofer UMSICHT in Germany, says his company’s move to TEP comes at a time when bioenergy investment and development ‘is essential to tackle climate change and reduce Birmingham’s waste problems. This environment has allowed and encouraged international collaboration between the University of Birmingham and industrial partners for the development and implementation of many new projects that all have similar aims to convert Birmingham’s waste into sustainable biofuels. Find out more about Dr Ouadi’s work at TEP by watching the video below.